Sure, it's terrific for turning human actors into big blue alien Na'vis. But the photorealistic CGI technology James Cameron perfected for Avatar could easily be used for other, even more mind-blowing purposes—like, say, bringing Humphrey Bogart back to life, or making Clint Eastwood look 35 again. 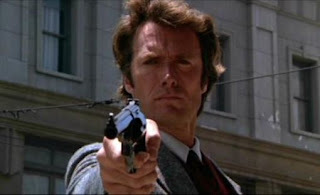 "How about another Dirty Harry movie where Clint looks the way he looked in 1975?" Cameron suggests. "Or a James Bond movie where Sean Connery looks the way he did in Doctor No? How cool would that be?" In a way, Cameron has already pulled off this trick: Sigourney Weaver appears to drop 20 years whenever she slips her consciousness into an alien body in Avatar. But Cameron's facial scanning process is so precise—zeroing in to the very pores of an actor's skin—that virtually any manipulation is possible. You may not be able to totally replace an actor—"There’s no way to scan what's underneath the surface to what the actor is feeling," the director notes—but it is now theoretically possible to extend careers by digitally keeping stars young pretty much forever. In the article at EW.com Cameron also talks about the ethical line that has to be respected in regards to this sort of thing, like how it can't be billed as the real Marilyn Monroe and Humphrey Bogart if they were put into a movie together with the advanced CGI.